Family and friends of Michael Clarke Duncan gathered in L.A. on Monday to celebrate the actor’s life. Among the famous faces in attendance were Duncan’s fiancée, Omarosa O. Manigualt, Jay Leno, Tom Hanks and Holly Robinson Peete. Many offered heartfelt tributes to the “Green Mile” star, according to the Associated Press. 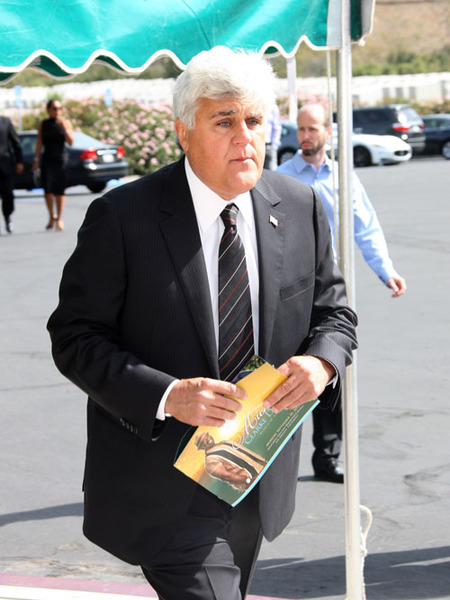 Leno’s voice cracked as he told the crowd at Forest Lawn, "Just to see such a pure heart and pure kindness, and to see it taken so early. There are no sadder words than what might have been." Hanks shared one of Duncan’s childhood stories about how he wanted to join a gang, until his mother set him straight with a frying pan. "If it wasn't for that mama and the frying pan with a pork chop, we would not be here today celebrating the life of Michael Clarke Duncan," Hanks said. Peete fondly recalled meeting the 6-foot, 5-inch, 300-pound Oscar nominee while he was still a celebrity bodyguard. The 54-year-old passed away Sept. 3, following complications of a July heart attack.